Join the Betty-Ann Heggie Womentorship Foundation and the Edwards School of Business in a special screening of LUNAFEST, the International Film Festival. LUNAFEST connects women, their stories, and their causes through film. The program will compel discussion, make you laugh, tug at your heartstrings, and motivate you to make a difference in your community. Incredibly diverse in style and content, LUNAFEST is united by a common thread of exceptional storytelling. Join us on International Women's Day at LUNAFEST 2019 to take in the spectacle with a free popcorn, drink, and LUNAbar. Enjoy the panelist discussion following the screening with moderator Rachelle Brockman. Proceeds from admission will be directed to tuition fees for Proteges from the non-profit sector to attend the Betty-Ann Heggie Womentorship Program at the Edwards School of Business, with a donation also being made to Chicken & Egg Pictures. Seating is limited! 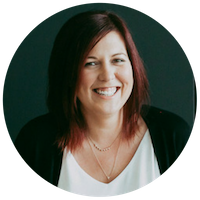 Principal of Eureka Experience, Rachelle is an experienced, award-winning educator, a passionate artist, and an enthusiastic entrepreneur. She inspires people, teams, and organizations to ‘get it done’ in a passionate, productive way. Rachelle was a LUNAFEST panelist herself in 2014 and we are looking forward to what she will bring as moderator this year! 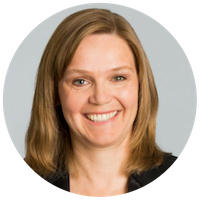 Susan is currently the Executive Vice President and CEO of Potash at Nutrien. In her career, Susan has worked in a variety of roles since joining the company in 2005. 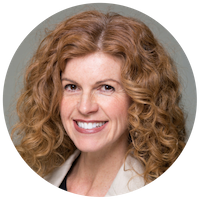 She has served on the United Way of Calgary, the agricultural sub-section of the Canadian Bar Association and has been an active member and supporter of the company’s women’s leadership group. In 2017, Susan was named Deal Maker of the Year at the Canadian General Counsel Awards. Academically, Susan has a law degree as well as a Bachelor of Arts in Political Science and Hispanic Studies. She is fluent in French, Italian, Spanish and English. Caval is the First Vice President of Business and Professional Women Canada - BPW Canada, a group which encourages women to lead in our community through education, leadership and advocacy. Caval has been an active member since 2013 and has held a number of roles within the organization, including Past President of Business and Professional Women of Saskatoon Inc - BPW Saskatoon. She is a fierce advocate for women’s rights, which is why she was also named the 2016-2018 BPW Canada’s National Chairperson to End Violence against Women, an issue that is very near to her heart. Sherri is a First Nations woman who is a member of Yellow Quill First Nation band here in Saskatchewan. She has taught at both the First Nations University of Canada and the University of Saskatchewan. As a Sessional Lecturer at the U of S, Sherri instructs a variety of Indigenous Studies classes and works on curriculum development. 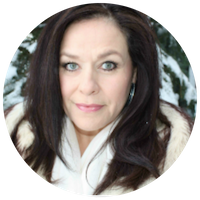 Sherri is also a survivor of the Sixties Scoop and was raised in a total of 7 foster homes. She is currently revising a manuscript about her experiences growing up in the foster care system and as an intergenerational survivor of the residential school system. Includes screening, popcorn, drink and LUNAbar.